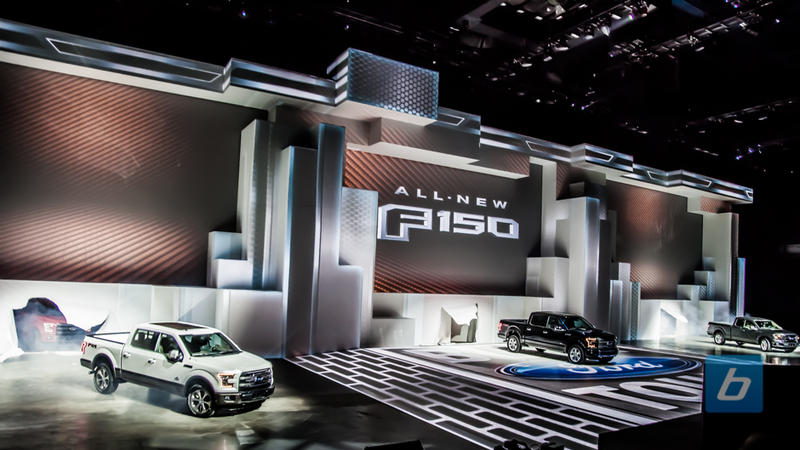 DENVER, CO — With the new diesel engine for the 2018 F-150, Ford has knocked it out of the park, but buyers will pay handsomely for it. The engine, a 3.0-litre V-6 PowerStroke diesel built in England and installed at the Dearborn (Mich.) truck plant, offers outstanding fuel economy, a stump-pulling 440 pound-feet of torque and a quiet ride that belies its oil-burning ways. That the diesel’s fuel economy beats the entire rest of the F-150 lineup by a country mile should come as no surprise: diesel engines are inherently more fuel efficient thanks to an ignition cycle that ensures every molecule of fuel inside the cylinder spontaneously combusts under pressure. The all-new 3.0-litre Power Stroke diesel engine is targeted to return an EPA-estimated rating of 30 mpg highway. As 4×2 models, the diesel is rated 10.8 litres per 100 km city, 8.0 highway and 9.5 combined. By comparison, the best 4×2 gas-burning F-150 — the 2.7-litre EcoBoost V-6 — is rated at 12.0, 9.4 and 10.8. Differences between 4×4 models are similar, even if the numbers are higher. As a 4×4, the diesel is rated at 11.8, 9.3 and 10.7. In the US, the all-new 3.0-litre Power Stroke is available for both 4×2 and 4×4 F-150 pickups. Retail customers can choose this engine option for 2018 F-150 Lariat, King Ranch and Platinum edition SuperCrew trucks with either a 5.5-foot or 6.5-foot bed configuration, and SuperCab trucks with a 6.5-foot bed configuration. Depending on the chosen trim level, the price premium ranges from US$2,400 to US$4,000. The price to upgrade to diesel varies, but for consumers, a diesel is going to be either a C$7,500 or a C$5,650 upcharge. For Lariat customers, where the standard engine is the 2.7-litre EcoBoost V-6, the diesel is C$7,200. In King Ranch and Platinum, the 5.0-litre is standard, making the upcharge to diesel C$5,650. Fleet customers can access the diesel in all trim levels, but if the upgrade is from the 3.3-litre V-6 engine, the price is C$8,200. There has been such demand for more diesel 1,500-series pickups — currently, the Nissan Titan (reviewed here) and Ram 1500 are the only diesel 1,500s on the road — Ford should have little trouble reaching its five per cent target. Empty, driving 4×2 models, the driver with the winning fuel economy challenge score topped 40 mpg, or 5.8 l/100km. It should be said, however, the average driver is likely to come in around the official averages — 9.5 for 4×2 and 10.7 for 4×4. You can, says chief program engineer Jerry Farrell, thank a few things for the combination of hauling and fuel economy: first, the diesel trucks come standard with active air shutters, closing off airflow to the radiator when the engine doesn’t need cooling. This improves aerodynamics. Secondly, the engine, which runs cooler already due to the lower combustion temperatures of diesel, features a mechanical cooling fan with an electronic clutch. This combination of features reduces both the drag of the fan and the aerodynamic penalty of an open grille when not needed, but still allows the engine to drive cool when the clutch has to engage and the air vents have to open. Farrell said the diesel engine is about 380 pounds heavier than the 3.5-litre EcoBoost, which is significant in two ways: the added weight means the diesel is not the towing king of the F-150 lineup, and Ford had to revise the spring tuning front and rear to hold up the extra weight. Towing is rated at a maximum 11,400 pounds, for a regular cab 4×2 model. Maximum towing for gasoline F-150s is 13,200 pounds. In all cases, heavier trucks (4×4, Super Cab, etc.) can tow less, since it’s the overall weight that’s a limiting factor. Power: 250 hp @ 5,000 r.p.m. Torque: 440 lb-ft. @ 1,750 r.p.m. Price (Canadian dollars): C$51,449 (Super Crew 4×2 Lariat 145-in. wheelbase) to C$70,979 (Super Crew 4×4 Platinum 145-in. wheelbase). This post First Drive: 2018 Ford F-150 Power Stroke Diesel Review appeared first on TractionLife.com by Kelly Taylor. 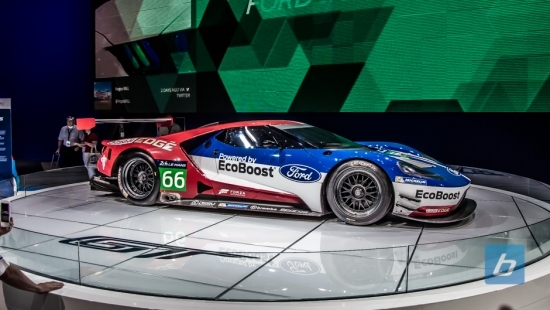 I’m not a morning person, but finding out that Ford will be starting the first press conference of NAIAS 2014 here in Detroit at 8:10am local time (that’s 6:10am back in Calgary!) with the announcement of the all new F-150 gave me that extra motivation to crawl out of bed this morning. After a short trek to Joe Louis Arena we quickly found a spot to camp out to wait to see what Ford had in store for us. If you recall, this exact time last year we were in the same building to see Ford show us a preview of today’s unveiling, the Ford Atlas Concept. What we learned since then was that the production F-150 truck was going to be a big shift in strategy for Ford trucks. 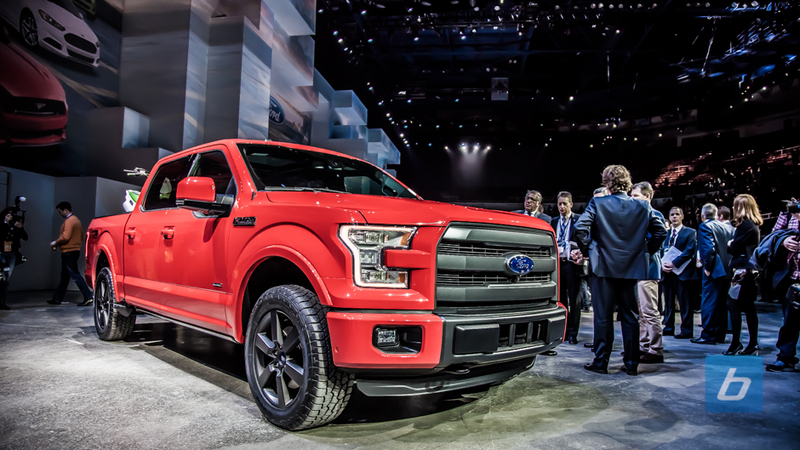 Instead of relying on the proven strength of steel, they opted to construct the F-150 body and bed with aluminum. The switch has been in the works for years and the project survived the cost cutting years following the financial crisis. Today, Ford shared with us details on the first fruits of the Aluminum switch-over for their trucks with the new Ford F-150. First off, the main frame of the truck will still be constructed out of steel but improvements in the manufacturing process have shaved almost 100 pounds. The new aluminum body and bed help push total weight savings over the previous generation F-150 to nearly 700 pounds! We saw Chevrolet’s Silverado Cheyenne concept during SEMA, but the weight savings from that one off is peanuts compared to the new F-150. Ford also announced an all-new 2.7L EcoBoost with standard Automatic Start-Stop technology designed specifically for the Ford F-150. The 3.5L EcoBoost and 5.0L V8 will both still be available for customers that opt for them while the current 3.7L V6 will be replaced with an all-new 3.5L V6 that will be the new standard engine in the new F-150. LED headlights, will be an available option, as will LED spotlight mirrors and box lighting, a remote power rear tailgate, 360 degree camera system, 8″ infotainment screen, dynamic hitch assist, trailer brake controller, and 110V/400W power plugs. Standard features include trailer sway control, and active grille shutters we first saw on the Atlas concept. All in all the F-150 definitely carries over many of the design elements from the Ford Atlas concept, in fact the grill on the ZLT looks just like the one off the Atlas. Ford plans to continue offering the new F-150 in all existing trims, including presumably the Raptor but it has made no official announcements. Ford is making a big move with the best-selling truck, only time will tell if the transition will be a smooth one. 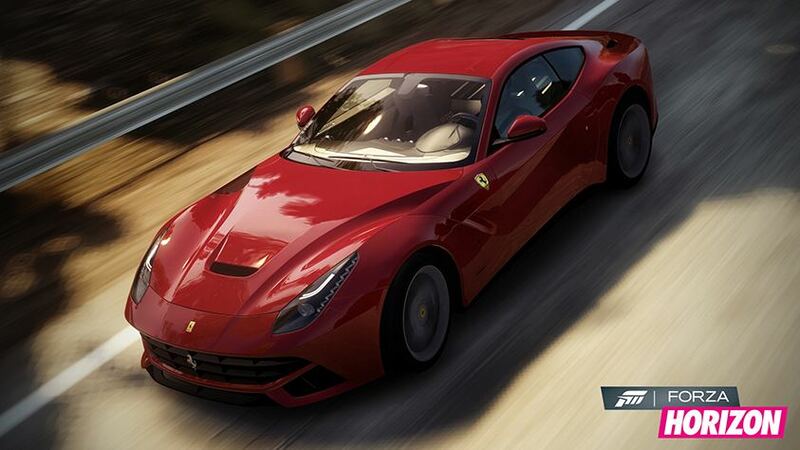 A total of seven new vehicles are now available for Forza Horizon after the release of the December IGN car pack. Now, whether you’re a fan of DLC or not, a few of these rides are a pretty sweet addition to the game. We’ve got Ferrari’s current fastest road car, the F12berlinetta and the iconic McLaren F1, Gordon Murray to bring Bruce McLaren’s dream of a McLaren road car to life. While it has been surpassed by more modern supercars, the McLaren F1 is still the fastest NA car on the road today. Another noteworthy car in this pack is the 1996 Ford GTX1 which is a modified Ford GT built specifically for SEMA in 2006. While it doesn’t have a fancy V12 in it like the McLaren and Ferrari, it does pack a supercharged V8 that pumps out a very respectable 670hp!